MANHATTAN — At our recent 108th Annual Delegates Meeting, hundreds of CSEA officers, delegates and activists recently received inspiration to further help our union stay strong. During the five-day meeting, delegates conducted official union business, and attended workshops and trainings designed to make them stronger activists and leaders. 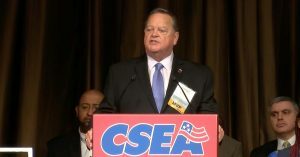 CSEA delegates heard from a number of speakers who urged us to Stay Union, Stay Strong. 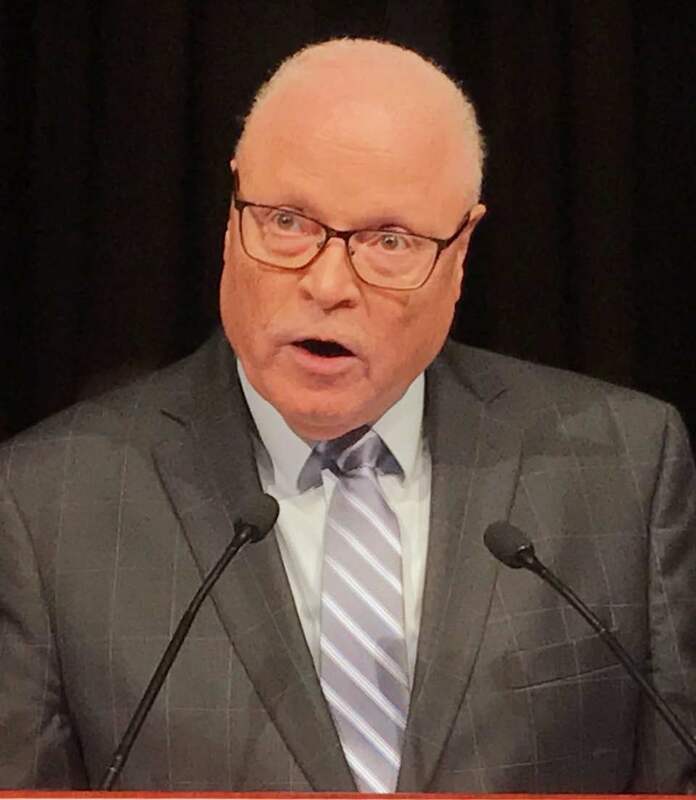 AFSCME International President Lee Saunders addresses delegates. 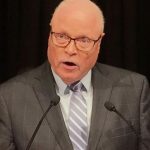 Also motivating our delegates was AFSCME International President Lee Saunders. 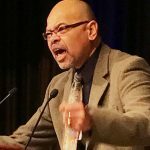 New York State AFL-CIO Secretary-Treasurer Terry Melvin, a former CSEA activist who also serves as president of the AFL-CIO constituency group Coalition of Black Trade Unionists, urged delegates to rise up and meet our challenges. 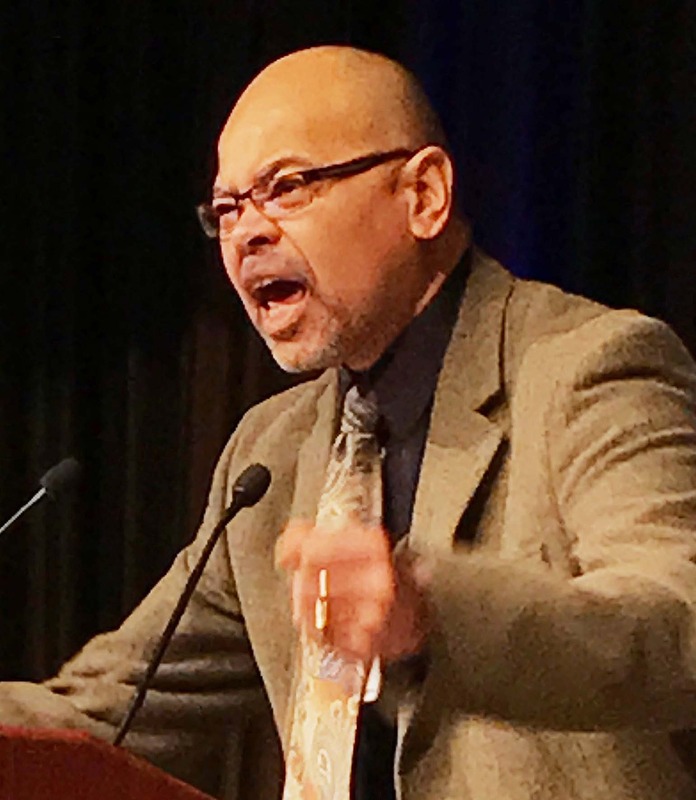 New York State AFL-CIO Secretary-Treasurer Terry Melvin addresses delegates. During his address, State Comptroller Tom DiNapoli focused on the future of unions and CSEA’s commitment to engaging the membership to stick with our union. The 108th Annual Delegates Meeting also had poignant moments, during which two members of our union family were honored. Late Western Region President Flo Tripi, who passed away in July, was honored for her 50 years of service to our union through a video tribute, a standing ovation, and numerous mentions from speakers about her dedication, service, spirit and contributions to the labor movement in America. Former Central Region President Colleen Wheaton, who recently retired after attending her last Annual Delegates Meeting as an officer, was also honored for her union service through a video tribute and a standing ovation from the delegates. Other guests who addressed the meeting included State Sen. John Flanagan, New York State AFL-CIO President Mario Cilento, and state Labor Commissioner Roberta Reardon.